Ruby, our adopted granddaughter celebrates her 5th birthday this week. For some reason, I had the date wrong on my calendar (I am sure my daughter gave me the wrong date (wink). So, this was a hurry up kind of card and because I HAD to mail it the next day, I kept it very, very simple. But you know, I know it will bring a smile to Ruby's face and that is what it is all about. 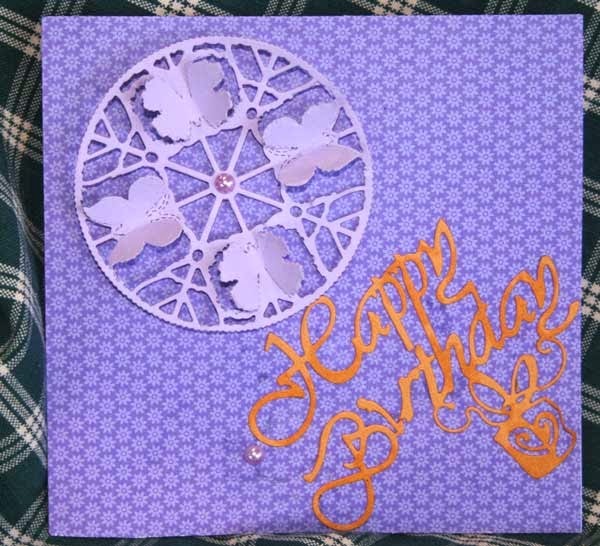 The butterflies on the front of the card are dimensional and appears to be flying and she can spin them around too. This is a new die from Joy. 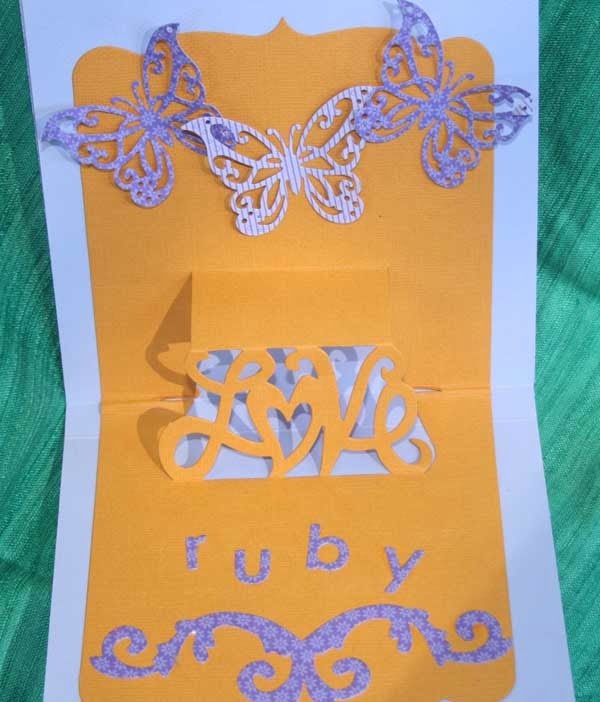 When she opens the card, it will pop up and tell her we love her and that is what it is all about. The three butterflies appear to be flying too. I thought you might enjoy seeing something very, very simple which is something I don't ever seem to do. If you need to know what the products are that I used, please email me. I am rushing to get the Wild Wednesday Sale ready for tomorrow. Awww this is so cute Joan and I'm sure Ruby will ADORE it!! 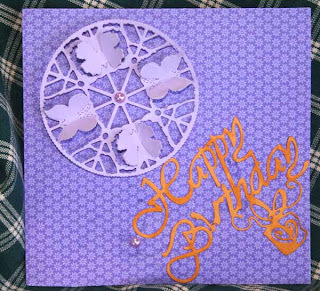 These pop n cut cards are perfect for the quick card with a WOW factor! Great job!